The main integration file "QuickBar v-X-Y-Z.zip" is the file you use to install this into your own mod. It includes a README.txt file in the root of the zip file. 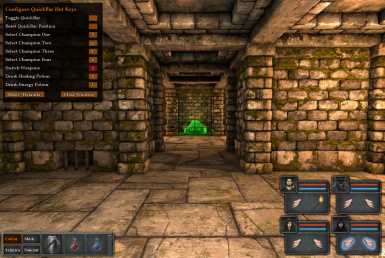 If you have downloaded the Sample Dungeon, then there is no README file - it is simply a dungeon you can load up into the editor to see the QuickBar in action to see what it's like! Your "QuickBar v1-0-2" and "QuickBar Sample Dungeon 1-0-2" are the same file, seemingly both uploaded from the sample dungeon, since both offer a sample dungeon and no readme. Sorry for the slow response, I accidentally uploaded the wrong file - but this should all be resolved now with the latest version of the Quick Bar. The most recent version of the file, that in the format you specified in reply to gillgarth's comment, has no readme file. 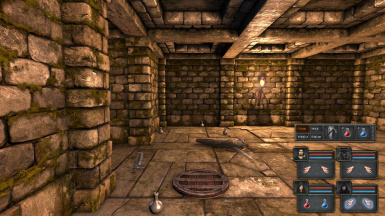 Just a sample dungeon. 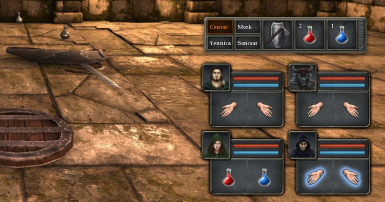 How does integration with a custom dungeon work with this? Sorry for the slow response - but this should all be resolved now with the latest version of the Quick Bar.